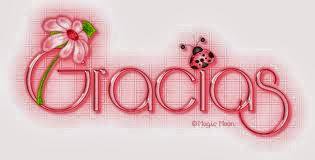 Maternidad y Bienestar Emocional: ¡GRACIAS! ¡ A TODOS LOS QUE HABÉIS COMPARTIDO UN POCO DE VUESTRO TIEMPO PARA VISITAR MATERNIDAD Y BIENESTAR EMOCIONAL! ¡ A TODOS LOS QUE VISITARON EL BLOG Y HAN DECIDIDO QUEDARSE! ¡A TODOS LOS QUE LE HABÉIS REGISTRADO EL ENLACE PARA NO PERDEROS NI UNA SOLA PUBLICACIÓN! ¡A TODAS LAS MUJERES QUE SE HAN SENTIDO IDENTIFICADAS CON LA TEMÁTICA DEL BLOG Y ME HABÉIS ESCRITO PARA COMPARTIR VUESTRA HISTORIA , Y LA ILUSIÓN QUE OS HA HECHO ENCONTRAR UN PUNTO DE ENCUENTRO DONDE PODER RECUPERAR EL ÁNIMO, PARA SEGUIR LUCHANDO! ¡A TODOS LOS QUE OS ENCANTA EL DOMINGO EN FAMILIA Y ENVIÁIS FOTOS Y ENLACES PARA QUE EXPERIMENTE CON MI PEQUEÑA Y/O PUBLIQUE! FUERZA PARA LUCHAR POR ESTA META TAN PERSONAL Y AL MISMO TIEMPO TAN COMUNITARIA! ¡¡¡ UNA Y OTRA VEZ, MIL GRACIAS !!! !